Sony Ericsson has just came up with a real digital camera replacement in the guise of the Sony Ericsson C905 Cyber-shot phone. 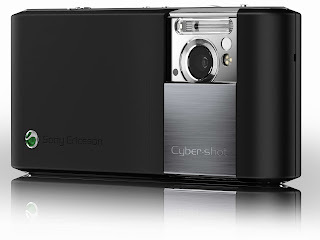 The Sony Ericsson C905 Cyber-shot is the first cyber-shot slider phone. The design of the Sony Ericsson C905 mimics that of a true digital camera, from the lens cover, to the xenon flash, even its battery compartment. The side of the mobile phone even has a dedicated shutter button, just like on Sony’s Cyber-shot models. There’s no doubt about it, from its design, features, and name, the Sony Ericsson C905 Cyber-shot phone is a true camera phone. The whopping 8.1 mega pixel is enough to make it a camera replacement but added features such as face detection, auto focus, image stabilizer, smart contrast, photo fix, 16x digital zoom makes the Sony Ericsson C905 a really advanced camera phone. Added features such as GPS allow you geo-tagging of your photos, and a TV-out cable allows you to view your pictures right on your TV straight from the mobile phone. Connectivity options includes: WiFi and 3G with HSDPA. The Sony Ericsson C905 is an upgrade to the Sony Ericsson K850i in the cyber-shot models. If the SE C905 is able to deliver and outdo the K850i, then there’s no doubt that the Sony Ericsson C905 will rule the camera phone department.